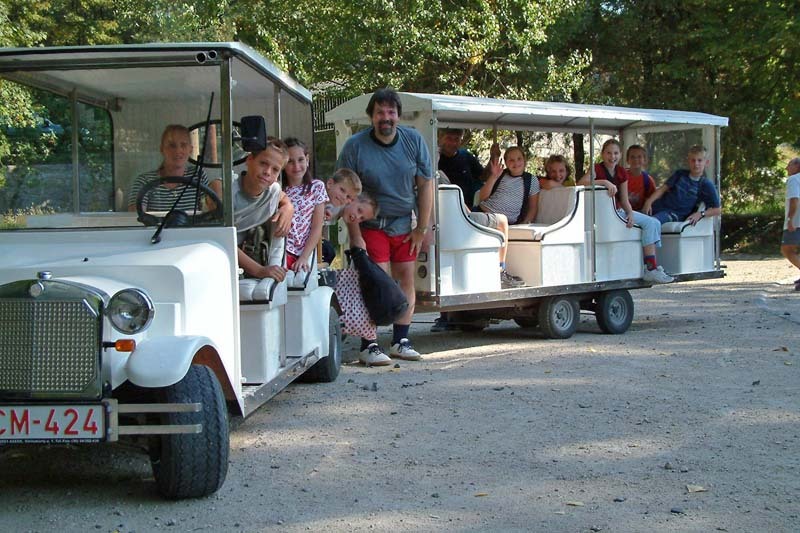 The dino train has 60 seats, of which there are 4 VIP seats are located in the locomotive. 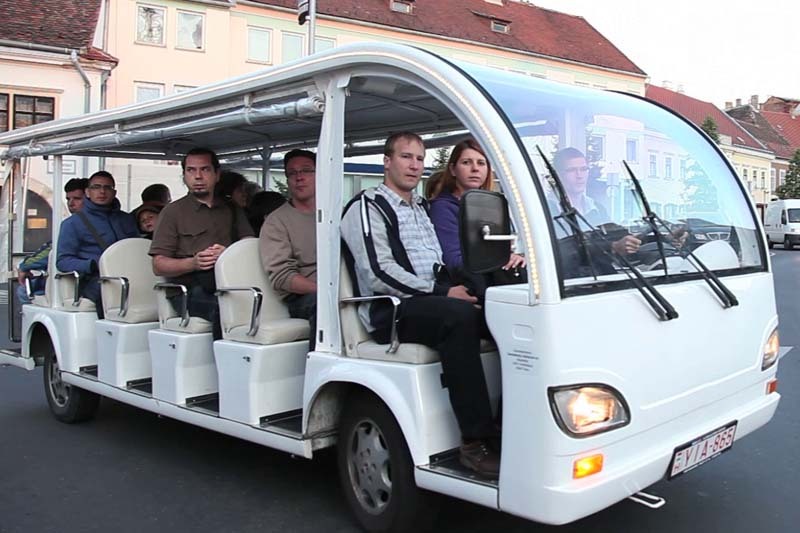 The maximum passenger capacity can be increased by adding a 20-person trailer to 80 people. The Dino train consists of a traction machine and two camouflaged trailers. The doors of the trailers can be locked and they are supplied also with safety chain. From the rain and wind, passengers are protected by transparent PVC rain cover. 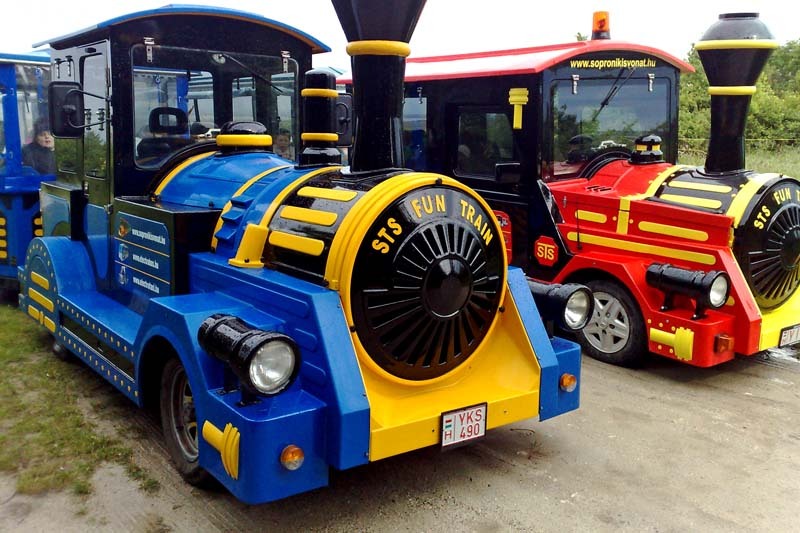 The total length of the train amounts to 18m, width 1.80m, its height 2.6m. The diameter of its turning radius is 15 meters. The locomotive has all-wheel drive, which allows for going up on 10% rises even with full load. The maximum speed of the train is 25 km/h. 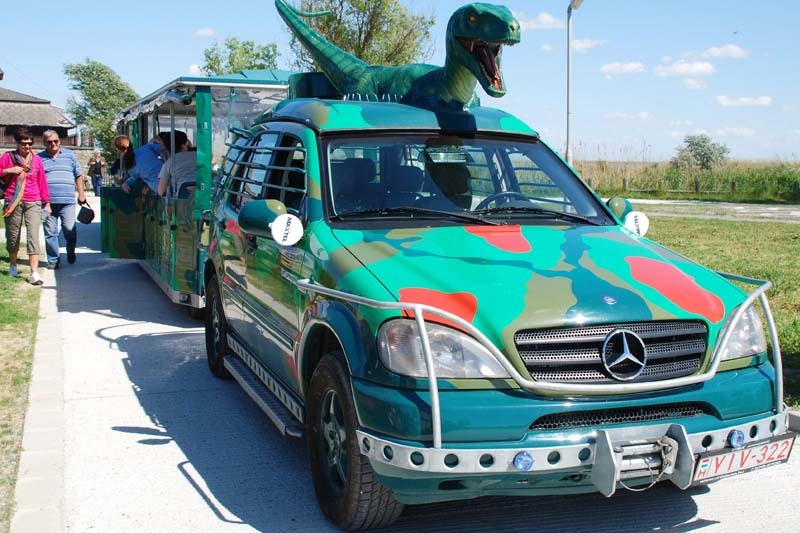 The dino train also has license plate, therefore it can circulate in public vehicular traffic.